Over the past few months, we have reported on numerous large international signings for ROH, who are preparing to hold their G1 Supercard show at Madison Square Garden during WrestleMania week in 2019. However, not every ROH wrestler is happy with the company and the progression is making. 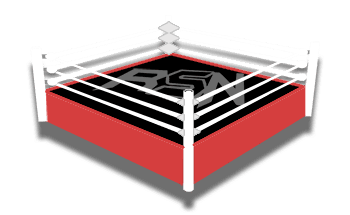 Ryan Satin of Pro Wrestling Sheet has confirmed that ROH employee BJ Whitmer has parted ways with the company. Sources close to Satin have confirmed Whitmer resigned as he was unhappy in the promotion. In particular, it is being reported that Whitmer wasn’t happy with management, and had made this obvious for months. Whitmer debuted for the promotion way back in 2003. After a hiatus from the ring, he returned in 2012 and continued to compete for the promotion. In 2018, his main focus has been working color commentary for ROH while training at their dojo and working as an operations manager for the company. For those who may remember, Whitmer also had a backstage role during the production of the ALL IN event that took place earlier. Given The Elite are seemingly beginning their own promotion, Whitmer could find himself employed with AEW (as trademarks would suggest) within the next few months. With the potential rise of a new promotion and the continuous threat of WWE and MLW, it will be interesting to see what ROH does next. What is your reaction to Whitmer’s departure from ROH? Let us know your thoughts, opinions, and reactions in those comments below.